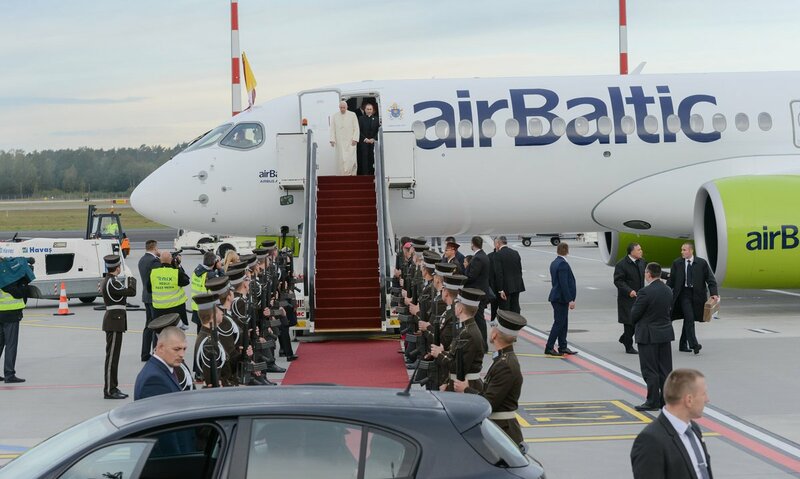 The Latvian carrier airBaltic has had a very eventful week, the rapidly growing and well-respected carrier received its 12th Airbus A220, carried the Pope, suffered a bird strike and signed a deal with Jazz for maintenance. Looking resplendent in the bright standard airBaltic livery the airlines 12th Airbus A220 arrived on 22nd September. 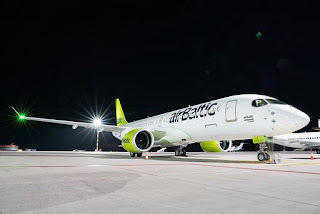 AirBaltic plans to have a fleet of 14 of the A220-300 aircraft, formally known as the Bombardier CSeries CS300. The fuel-efficient and passenger popular jets have room for 145 people, offering wider seats, larger windows, more hand luggage space in the cabin, improved lavatories and other passenger-friendly benefits. The new aircraft is also much quieter – with a four times smaller noise footprint. Moreover, at the moment, it is the greenest commercial aircraft in the world, as it is the first aircraft to have a transparent declaration of the life-cycle environmental impact, helping to reduce CO2 and NOX emissions by 20% and 50% respectively. 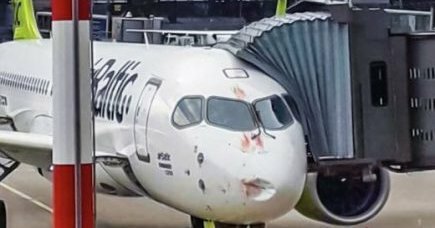 Also on 24th one of the airlines other A220 aircraft suffered a bird strike whilst operating a light from Vienna to Riga. 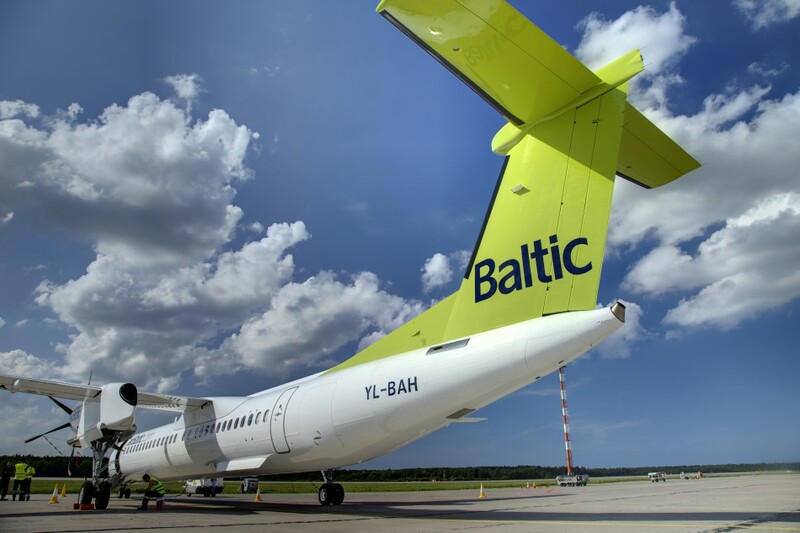 The strike happened during the aircraft's approach to Riga over the Gulf of Riga and whilst no passengers were injured during the incident, the same could not be said for the birds or the aircraft. 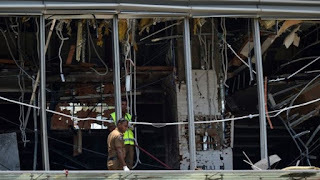 Photos released on social media show a large dent to the radome and nose of the aircraft. The airline has today confirmed it has awarded Chorus Aviation subsidiary, Jazz Aviation the contract for heavy maintenance work on airBaltic's 12 Q400 NextGen aircraft. Under the terms of the agreement, Jazz Technical Services ('JTS') will do all the maintenance, repair and overhaul ('MRO') work as well as maintenance support of the Q400's. 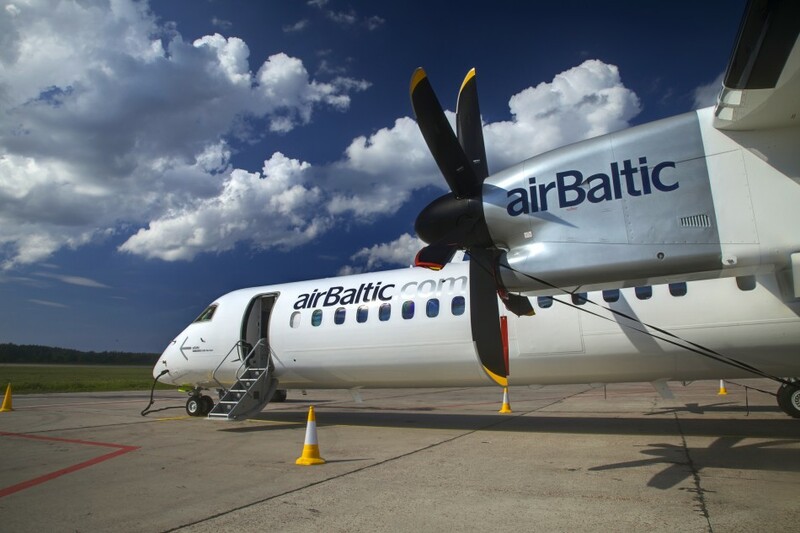 "We are very pleased to have been awarded this contract as we continue to focus on growth in our MRO business and are enthused to be expanding our customer base internationally with the addition of airBaltic," said Colin Copp, President, Jazz Aviation.